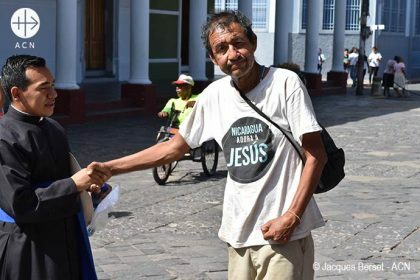 Last year, Nicaragua experienced a series of intensive and violent clashes between the government and opposition groups that lasted for about three months from April 18 to mid-July. During this period, the clashes claimed hundreds of lives – most of them young protesters. However, the exact number of victims is disputed: the government has estimated 150 dead, other sources say the figure is over 500. 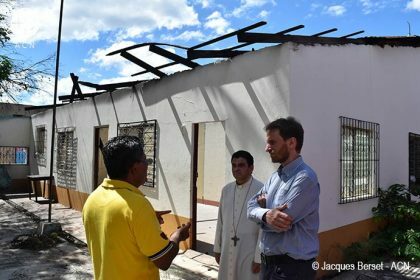 The courage of the Church as it worked to prevent even more violence during the months of conflict. The protest organizers closed off the main roads in many regions of the country, bringing life to a standstill in the country for weeks. We saw many photos showing priests in, particularly tense situations, standing with arms raised between armed government forces who were about to take down blockades by force, and protesters who had resolved to show resistance. By risking their own lives, these priests, most of them young men, saved the lives of many young people on both sides of the conflict. They prevented the street blockades from ending in violence. Many of the churches took in hundreds of wounded, converting church buildings into makeshift field hospitals. In spite of the campaign to discredit the Church, recent, independent surveys have shown that the Church as an institution continues to enjoy a very high level of credibility. The number of vocations to the priesthood continues to rise practically everywhere in the country. Each year, new parishes are founded in different dioceses. Others are adding to the number of centers for lay education. The number of applications received from people interested in taking part in educational courses offered by the Church is also growing. 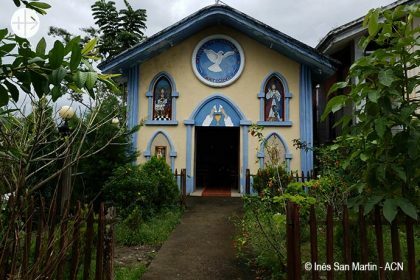 The last diocese to be founded in Central America is located in Nicaragua: the diocese of Siuna, established in late 2017.